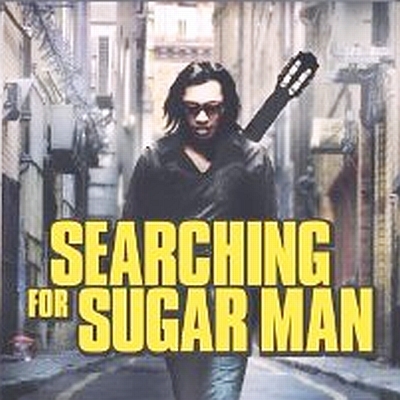 The Oscar nominated documentary SEARCHING FOR SUGAR MAN is the work of Swedish director Malik Bendjelloul who first learned of the story of Sixto Rodriguez while traveling the world for a few years in search of a great story for a docupic. In 2007, he made a stop in Cape Town, South Africa and wandered into a record store called Mabu Vinyl, co-owned by Steven “Sugar” Segerman, one of the Rodriguez fans who had spent several years looking to confirm the rumors of the artist’s death or find him if he was still alive and well. Segerman told the Rodriguez story to the filmmaker, who quickly decided that this was to be the story he’d document on film. It took nearly four years to shoot all the footage and complete the film, which debuted at last year’s Sundance Film Festival. Audiences at Sundance raved and the documentary received to awards at the festival. Last November, 60 MINUTES broadcast a segment about the artist and movie, which was rebroadcast a few weeks ago. Happily, the rumors of Sixto’s death were greatly exaggerated, and Rodriguez lives on to this day, enjoying the fame that avoided him for so many years. He remains modest and humble about his elusive superstar status, even giving most of his recent earnings away to family, friends and others he feels worthy of the funds. His latest new-found fame resulting from all the acclaim for the Sugar Man movie resulted in several high profile media appearances since last summer. In addition to the 60 Minutes profile, Rodriguez has performed on The Late Show with David Letterman and, just last week, The Tonight Show with Jay Leno. He has made dozens of live concert and club appearances in the US, Canada, England and Ireland in recent months and, next month, makes his latest triumphal appearances in South Africa, with shows in Cape Town and Johannesburg that have been sold out for weeks. Concerts in Sydney and Melbourne, Australia follow in March. 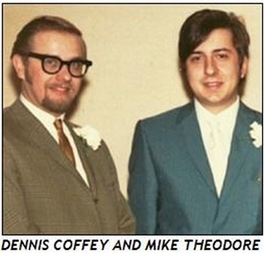 A jaw dropping moment occurred for me watching the movie, when Dennis Coffey mentioned working on the Cold Facts album at the legendary Detroit recording studio,TERA SHIRMA, owned by Ralph Terrana, the brother of one of my other lifelong close friends, engineer RUSS TERRANA. Russ left Motown Records, where he had become one of the labels top engineers, to work for his brother at Tera Shirma for a couple years in the late sixties before returning to Motown, where he worked for nearly twenty more years as chief engineer until the sale of the label late in 1988. Russ got such a great sound that he was one of the most sought-after engineers of the Detroit music scene when he worked at Tera Shirma, engineering scores of hits to come out of the studio. Surely, I thought, Russ recorded the first Rodriguez album. I called my old pal and asked if he had any recollections about the project. Russ told me, “Wow, Joe. I worked on so many albums at Tera Shirma that I just can’t remember if that Rodriguez album was one of them. But I do remember the name. So maybe I did work on it!” I had to laugh, because I’ve talked to Russ countless times about the days spent in Detroit, working at Motown and his brothers studio, and he couldn’t remember many of the number one hits he recorded or mixed (and there were 89 of those)! If that’s not the mark of a successful genius, I don’t know what is….. I asked Ralph if Russ could have been the recording engineer. Ralph said, “You know, probably not. Dennis and Mike would often come in at night and work well past midnight on projects. Russ always preferred the day shift. Mike usually engineered the sessions himself at night.” I wondered if Russ might have mixed the tracks even if he didn’t record them. Ralph told me, “Russ was such a damn good mixer that everyone wanted him to mix their stuff if they could get him. So it wouldn’t surprise me if Russ mixed the album. Rodriguez, the Detroit singer-songwriter at the center of the Oscar-nominated documentary Searching for Sugar Man, will perform at the Coachella, Glastonbury and Primavera festivals this year, Billboard reports. Special thanks to Joe Klein for putting this story together! 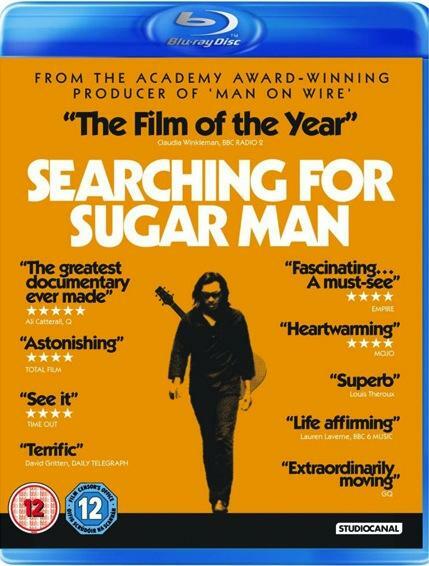 MY FRIEND, MUSIC AND COMMERCIAL PRODUCER, JOE KLEIN, JUST TOLD ME ABOUT A DOCUMENTARY THAT WAS NOMINATED FOR AN ACADEMY AWARD CALLED “SEARCHING FOR SUGAR MAN.” IT’S THE STORY OF THE LITTLE KNOWN ARTIST RODRIGUEZ, WHO, AFTER RECORDING A COUPLE OF ALBUMS IN 1969 AND 1971 THAT NEVER BECAME HITS IN THE US, WENT ON TO BECOME A STAR IN AUSTRALIA AND NEW ZEALAND AND A SUPERSTAR IN SOUTH AFRICA, BUT DIDN’T LEARN OF HIS FOREIGN FAME AND CULT FOLLOWING FOR ALMOST 15 YEARS! STILL UNABLE TO USE MY HANDS TO TYPE I ASKED JOE KLEIN TO SHARE THE REMARKABLE STORY OF RODRIGUEZ, THE FILM, THE MAN, AND THE MUSIC! In the documentary, Coffey, one of the original Motown FUNK BROTHERS guitarists (whose distinctive “wah-wah” guitar sound graced countless Motown hits), and Theodore appear in interview segments speaking about working with Rodriguez. Their admiration of the artist and passion for his music is clear, as both recall their regret about the failure of Rodriguez to achieve the success and recognition in the United States that they felt he so deserved at the time. Those feelings were echoed in the film in clips featuring STEVE ROWLAND, producer of the second Rodriguez album, COMING FROM REALITY, and others who knew or worked with the artist. As the story goes, Motown Records passed on Rodriguez, and he subsequently signed with Hollywood-based SUSSEX RECORDS, helmed by label president CLARENCE AVANT. Gallery and BILL WITHERS were on the Sussex label as well. Rodriguez never broke through in the United States, much to the surprise and dismay of those involved with him. Not heavily promoted by Sussex, his cutting edge Dylan-esque songs failed to garner any significant attention or radio airplay in the states, and he was dropped by the label just before Christmas 1971, less than two months after the release of the second album. Rodriguez continued to play club dates and record new music for several years but, sadly slipped into oblivion in America. Earlier this year at the Sundance Film festival where Searching For Sugar Man was honored, Sixto Rodriguez was described as “the greatest 70’s US icon who never was.” Here’s a video of Rodriguez performing the song “Sugar Man” at the 2012 Sundance Film Festival. 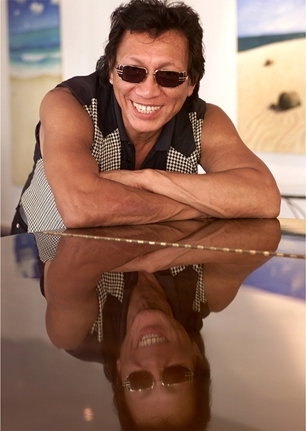 A virtual unknown in the U.S., his music magically found its way overseas, and Rodriguez ultimately became very popular in Australia and New Zealand. Then, incredibly, he became a huge superstar in South Africa, after his music surfaced there and struck a chord as tensions over apartheid were reaching the boiling point. Rodriguez was bigger then Elvis or The Beatles in the territory, but never played a single concert there in the seventies! Rumors of Rodriguez’s death (including one that he died on stage while performing) circulated for many years. Even more amazing than his foreign overseas, in a pre-cable, pre-internet world where news traveled infinitely slower than today, Sixto was totally unaware of the foreign fame he had achieved! Nor did he know at the time that Sussex Records had licensed his two albums to labels in the foreign territories and that over half a million albums were sold in the seventies! In the documentary, Clarence Avant is asked about what royalties, if any, were paid to Rodriguez from the sales of units outside of the United States, but the former label chief sidesteps the subjects of sales and royalties. Sixto Rodriguez would not learn of his notoriety down under and his status as a “South African Idol” for over fifteen years, and lived a modest, simple life as a day laborer in Detroit. He was finally tracked down by a couple of devoted fans from Cape Town, South Africa who went on a quest to see if the rumors of Sixto’s death were true or if Rodriguez was still alive and well, if not lost or in hiding. The Rodriguez zealots located the artist in the late nineties after an exhaustive search and, in 1998 convinced Rodriguez to finally perform in the now liberated South Africa. Rodriguez was welcomed there as a genuine superstar and performed to tens of thousands of devoted fans, many of whom had longed to see their lost musical hero for almost two decades! Watch the trailer for SEARCHING FOR SUGAR MAN below.